Sorry, Aereo, the Supreme Court said no to your model of picking up broadcast signals with tiny antennas and streaming them over the net. May we suggest a new technology? 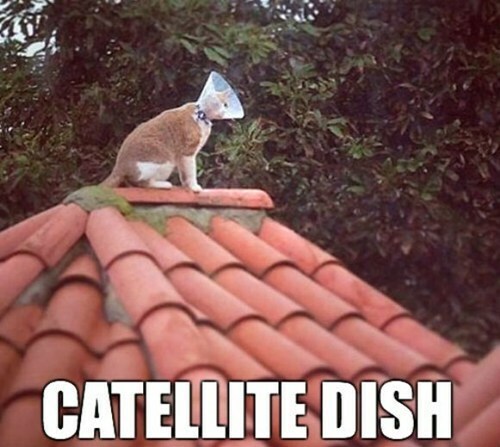 This entry was posted in Science Caturday and tagged Aereo cat, satellite cat, SCOTUS cat, Supreme Court cat, technology cat. Bookmark the permalink.